Carys Cragg is a Vancouver-based writer, faculty in Child & Youth Care at Douglas College, and author of the new book Dead Reckoning: How I Came to Meet the Man Who Murdered My Father. Iranian-Canadian philosopher Ramin Jahanbegloo is the vice-dean and executive director of the Mahatma Gandhi Centre for Peace Studies at Jindal Global University in New Delhi and author of On Forgiveness and Revenge: Lessons from an Iranian Prison, his memoir of four months in Tehran's notorious Evin prison, which recently arrived in bookstores. They held their discussion, over e-mail, last month. Because I’ve recently written a memoir that shares my experience of a dialogue with the man who murdered my father when I was 11 years old, I am often asked if I have forgiven him. While that was not my purpose going into the process, I cannot help but retrospectively reflect that, yes, we did enter into a space of forgiveness by the very fact that we attempted to hold anger, resentment and fear at bay while we considered each other’s needs to heal. It makes me wonder how the individual experience can inform the collective experience, and vice versa. Entering a space of forgiveness does not necessarily mean that we can hold back the bitter past. There are always memories of evil that we cannot forget. But maybe we change the despair of the past into a hope for the future, and we can try to understand the process that turns ordinary human beings into evildoers. You talk about your experience of a dialogue with the man who murdered your father. Based on your experience, I would say that maybe, for you, forgiving the murderer was a way to save the memory of your father. Many Holocaust survivors believe that forgiving the Nazis would fail the memory of past victims. But isn’t it true that forgiveness cannot forgive anything but the unforgivable? Otherwise it will lose its meaning. Some people perceive my curiosity – which went beyond what the criminal trial could offer – as a betrayal of my father. My hope was to more deeply understand why such crimes can be committed, and to hold him accountable for what he’d done to me. What I came to learn was that society did not care for the offender. We did not care for his family. We did not care for his family’s family. He grew up in violent chaos, where no good decisions could ever have been made. I became intensely interested in chaotic systems – social, economic, political and so on – that caused harm to vulnerable groups of people yet were often done “in their best interests” and rationalized by the dominant theories of the day. You mention the horrible atrocities of the Holocaust, and I think of other genocides across continents and centuries. I think of the land we occupy and the acts done upon its Indigenous peoples, and the injustices occurring right now. I do wish that Canadian society was animated by a spirit of empathy, especially in regard to its Indigenous peoples. However, it is my misfortune to entertain great doubts concerning the humility and intercultural attentiveness of many members of the white community in Canada in regard to the genocide and ethnic cleansing that has happened in this part of the world. There is no way that we can continue talking about the victimhood of other nations while turning our eyes away from the misery of our First Nations. What I am trying to say is that it is not by making official apologies to the Indigenous peoples in Canada that we can look our history straight in the eye and admit the crimes that have been committed in the name of “progress,” “civilization” and “Christianity.” I believe forgiveness needs a rebirth in Canada. But this is only possible if, instead of turning our historical hourglass over and over, we try to observe the cracks that run across it. I wonder: Under what conditions could empathy – to understand one another despite all our differences – flourish? All too often, I see indifference, alongside anger, revenge and retaliation. Don’t get me wrong, I negotiate anger on a daily basis, to different degrees of success. As a young girl, after my father’s murder, I was angry that I had to rebuild a life for myself, feeling alone in that task. I witnessed threats of revenge – not in my home, but not too distantly, either – and it made me scared, sick and angry, too. Those were loud voices. But anger, I later learned, was a good teacher. It taught me how I did not want to walk in the world. How does the topic of revenge come up in your new book? I describe revenge in my book as the act of taking vengeance in a spirit of resentment and animosity. Simply put, revenge is “eye for an eye” morality that escalates violence rather than restores justice and fairness. Revenge, unlike forgiveness, is not about moral repair or rebuilding decency, trust and hope. Now, the first important question would be: Does every victim of violence want revenge? I don’t think all victims can be lumped into a homogeneous mass. Victims – from different races, cultures, faiths and periods of history – have suffered to varying degrees. However, all victims experience harm. As for the second question, it is: Do all victims desire revenge? Not all victims look for revenge at the individual level. But every society has to deal with crime and, to deal with crime and victimization, all societies have developed a system of criminal justice. Revenge can be stopped – or intensified – by justice. But criminal justice will never fully replace the rule of ethics among human beings. Yes. I always had a sense that the criminal-justice system would not be a place where my needs were met. There, the investigation, the trial, the appeal, incarceration and so on would be handled. However, I felt victims’ needs were tokenized – my family no more than a witness to the crime that was committed against the state. Instead, many years later, I sought out a process I had heard of, called “restorative justice.” I happened to choose correspondence as a way of connecting with the offender. As the term restorative, or transformative, justice now enters mainstream-media conversations, I see a few risks. The conversation still seems to focus on the offender – “Has this decreased his risk to reoffend?” – almost as if the victim is there solely to help the offender change. I read an article recently, saying that restorative justice couldn’t be used for murder cases. Of course, what they meant was that, for murder cases, a criminal trial is necessary. But they didn’t leave room for both. They didn’t leave room for my story to be allowed. They didn’t leave room for the diversity of ways we address pain. Victims’ needs are essential. Not just for the harm they have experienced but also for the ethical decision they have forced upon them: to further perpetuate anger and harm or to experience something different. This, of course, is profoundly difficult. While my first thought is that victims have had to deal with enough, then I think: This is a powerful position to be in – that it is not the perpetrators of crime who get to determine how the world moves forward but the victims. The aftermath of all horrors is always a complex one. For a Holocaust survivor, the question of forgiveness was almost unthinkable. This is in the nature of forgiveness. As the French philosopher Jacques Derrida says: “Forgiveness is directed to the unforgivable or it does not exist.” It should be unconditional and without restrictions. However, forgiveness is not only a habit of the heart; it is also a practice of law and justice. I am referring to the Truth and Reconciliation Commissions, as in the case of South Africa and many other countries, including Canada. Can we adapt a Truth and Reconciliation Commission-like process to sustain forgiveness without forgetfulness? I think today in Canada, the true non-violent revenge of the First Nations would be not only to see the success of this community in arts, academia and business, but also to have in a near future a member being elected as the Prime Minister. It’s only on such an occasion that we can say Canadians have reread correctly their past to rework their present. I find I have so much to learn from people who have survived the unthinkable and shared their stories for the rest of us to consider. I fully agree with you that this process of learning from the suffering of others is so important. Many of the great religions are founded on this process. The crucifixion of Jesus intensified the validity of his message of love. Therefore, we can learn a great deal from the suffering of the victims, but we need to overcome the suffering with a message of compassion, dialogue and responsibility. Humanity should learn not to repeat its historical evils. I am not sure this is the case. I find suffering paralyzes what we have to offer the world – in our relationships, our work, our leisure. Freeing oneself from suffering – isn’t that what all of this is about? This is where I wish I grew up exposed to more knowledge and practices of various religions, schools of thought, ways of being, so that I might have not felt so alone in my wondering. But in that absence, perhaps I had the opportunity to find my own path in the circumstances I found myself in. I do know one thing, and that is that the more stories I read, listen to and seek out, the more I feel I have the capacity to free myself from suffering – angst, anger, unease – and live the life I want to live. I guess that is to say, that this thing we call forgiveness, yes, it is about the other, but it’s also to be able to hold our suffering selves and say, “You can get through this. You will. And when you release yourself from all of this pain, you will feel more alive than you ever have before, and be able to live the life you wanted.” Or at least, this is what I found myself telling myself after a lengthy dialogue with the man who murdered my father. I have another approach to the question of suffering of human beings. The world we are born into contains both good and evil. In other words, we can never experience the world in the singular. Everything that is, is related to something else. Interconnectedness is the law of the Earth. Suffering is common to all living beings, but it seems different to each species, and to each human being. So we can say suffering is not just in the world, suffering is the world. I believe that what the German philosopher Arthur Schopenhauer says is correct: “If the immediate and direct purpose of our life is not suffering then our existence is the most ill-adapted to its purpose in the world.” As such, each new generation, and every new human being, must pave anew the path of suffering. It is from compassion and not revenge that we can derive consolation in the troubles of life. Only insofar as the heart can draw things into itself are they of any value. I see such strength everywhere I look, from the lucky people who have survived, and who are surviving great suffering. I perfectly understand. I believe there will always be survivors. And their way of life with suffering will always be the life of those who see and feel the vanity of our world. Our conversation reminded me of this quote of Pascal: “Anyone who does not see the vanity of the world is very vain himself.” The height of vanity is not to see that our world is to be indifferent to the suffering of others. It’s happening here and now in front of our eyes. Look at the hungry children of Yemen or those who are killed in Syria. We are happy to live in our Canadian safe haven and ignore the rest of the world. I call this “vanity of indifference.” What would you call it? Ah yes, indifference. And what we ignore and overlook right here in Canada. We began with curiosity about forgiveness. Where I’m led to is being interested in what happens after forgiveness, or perhaps alongside it. How do we hold each other – and in particular our institutions that have caused and/or are causing harm – to account, within an incomplete system of justice? How do we transform our anger and suffering, from paralyzing pain to inform our efforts to right wrongs? I don’t think these questions can be answered here, now, or by us, but rather each one of us is tasked with that challenge: how we can make things right, in the face of all the continued wrongs. Let us go back to forgiveness and dialogue. Forgiveness reveals the relationship between individuals that makes dialogue possible. It is the condition for dialogue and is most realized in dialogue. Dialogue is not a phenomenon that occurs from nowhere and goes nowhere. It has a past and a future. It is an occasion of questioning oneself and caring for the other. 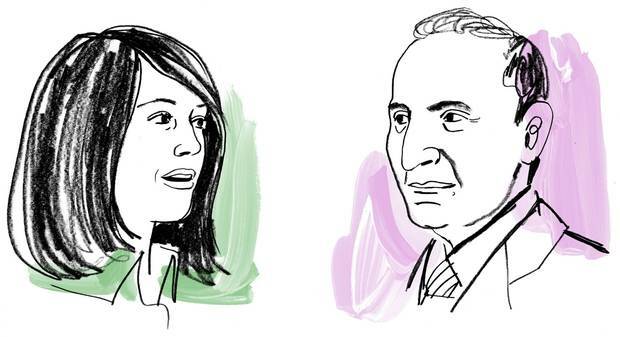 Is conversation a lost art? 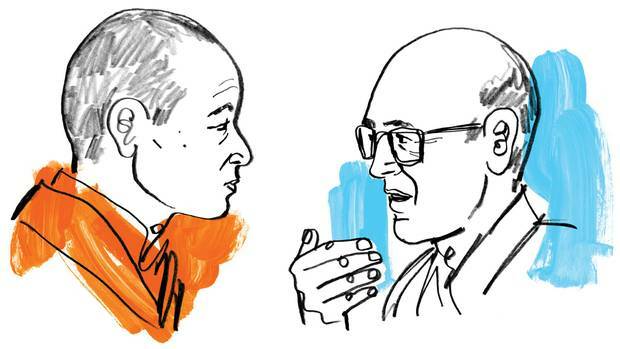 The head of a worldwide Buddhist initiative and a professor of linguistics discuss how to talk to one another in a polarized world.